Here is the RECIPE for yet another 'Allergy-friendly Smoothie with Daniella'. Always guaranteed to be dairy-free, egg-free, peanut-free and tree nut-free with the occasional coconut thrown in. Usually gluten-free too!! Add the liquid first. Add the protein and bananas. 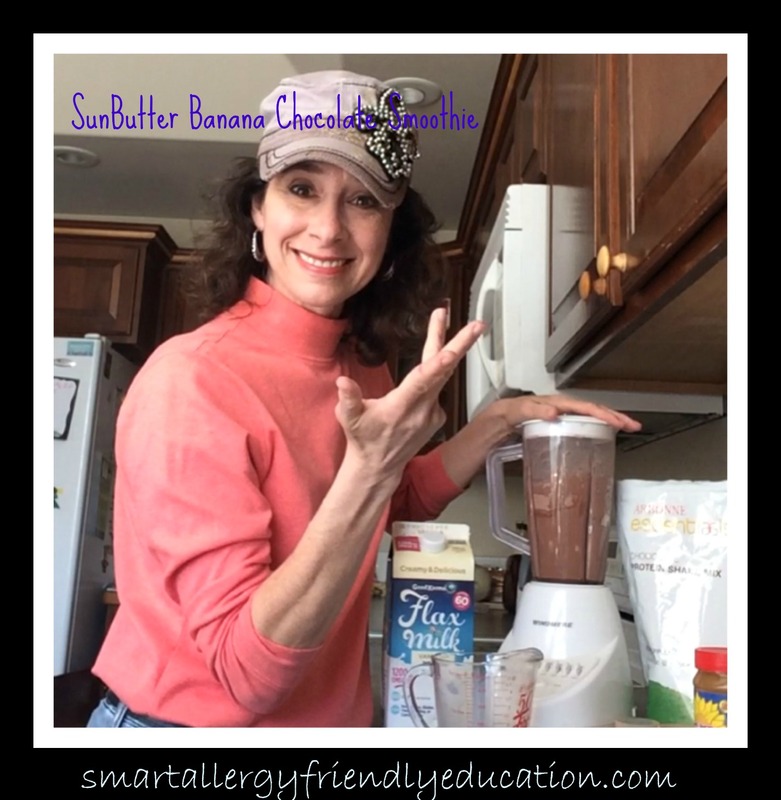 Add your tablespoon of SunButter. Blend well. Add crushed ice. Blend again!! Here's to another allergy~friendly smoothie and healthy living on the run! P.S. I use Arbonne Essentials Protein for ALL of my smoothies because they are dairy-free, egg-free and tree-nut free and are manufactured in a peanut-free facility. They are also vegan and gluten-free certified, kosher, AND non-GMO.